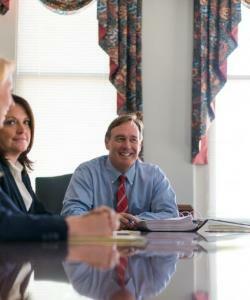 Thomas G. Bell, Jr. | Our Lawyers | Timberlake, Smith, Thomas & Moses, P.C. Since joining the firm in 1976, Tom has established a defense-oriented civil practice primarily focused on workers’ compensation, personal injury defense, insurance coverage issues, and employment law. He is listed in The Best Lawyers in America in the areas of workers’ compensation, insurance coverage, and personal injury defense. Tom received his undergraduate and law degrees from the University of Virginia. 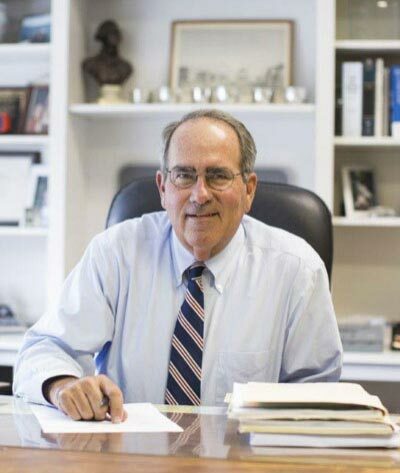 He has been an active member of the Bar serving as President of the Augusta Bar Association, the Virginia Association of Defense Attorneys, and the District Ethics Committee of the Virginia State Bar. He has served on the Board of Governors of the Litigation Section of the Virginia State Bar and currently is on the Board of the State Bar's Senior Lawyers Conference. Throughout his career, Tom has been actively engaged in the Staunton community, as well as in Virginia State Bar activities. 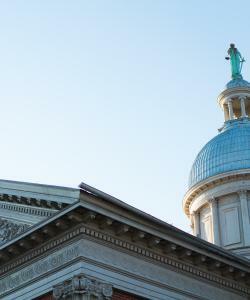 He has been recognized as a Fellow of the Virginia Law Foundation and was the initial recipient of the Charles Ajemian Humanitarian Award of the Augusta Bar Association. TimberlakeSmith is a full-service law firm that has been representing clients In the Valley and across the Commonwealth since 1948. © 2019 Timberlake, Smith, Thomas & Moses, P.C. All Rights Reserved. Our chosen web developer is Immerge. Disclaimer: The information contained herein is not intended to be relied upon as legal advice and is not intended to create an attorney-client relationship between the visitor and TimberlakeSmith. Any information provided herein is intended to be construed under Virginia law or the applicable Federal law. Visitors to this website should not act upon any information contained herein without first seeking the advice of legal counsel. Nothing contained in this website should be construed to constitute a recommendation or endorsement of any product, service, or site.